I’ve gone around to the 6 McCarthy locations asking female employees to answer some simple questions. I wanted to interview these women, in hopes of getting a better understanding (beside my own) of working in the male-dominated work environment of a car dealership. I wanted to gain some insight to the advantages and disadvantages these women face day in and day out. I have asked women of all different job descriptions and titles and with job longevity. I think these women have a unique perspective on the car business … as do the men working beside them! So let’s hear what they have to say! Q. Do you think women prefer a female salesperson? Gretchen Jammiggeh, Sales Associate at McCarthy Chevrolet: “Yes, because women feel that I can relate and identify with them. 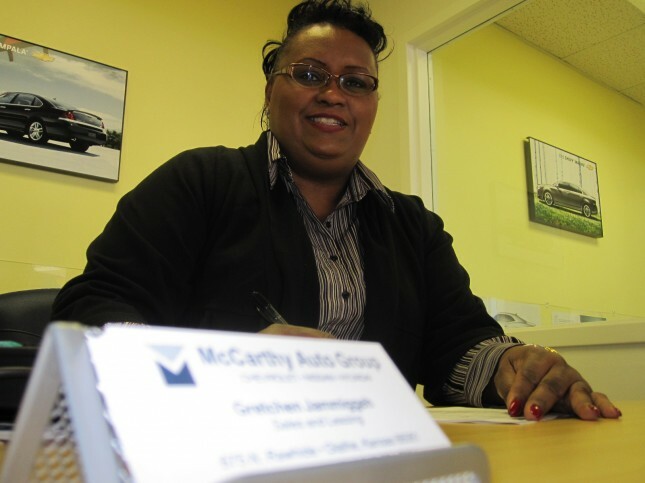 And that makes them feel more comfortable with the car buying experience.” Versa Larrick, receptionist for McCarthy Auto Group: “No, I think women feel more comfortable dealing with men – women intimidate other women; especially when talking about vehicles.” Mimi Srivisay, Used Car Assistant Manager: “Probably feel more comfortable with a woman associate because they may not feel as pressured.” Q. Do you think women and men want the same out of the car-buying experience? Jammiggeh: “Women car buyers motives are a little different. They are more concerned with their families needs; safety, security and reliability. They are the same when it comes to brands.” Srivisay: “Women focus on appearance of the car, options … versatility of car .. whereas men focus on muscle/power and options of a car.” Larrick: “More direct … want to be dealt with here and now … men as well as women, want to be told the truth.” Q. Being a woman, do you think you have any advantages or special skills when dealing with female customers? Jammiggeh: “As a woman, a unique skill that I use is to be a very good listener. And I have a great knowledge when it comes to products, features and benefits.” Srivisay: “Organizational skills, team effort and strong work ethic…” Larrick: “Must be more knowledgeable about everything, but softer and with a sense of humor.” So, ladies (and gentlemen, of course) … do you agree or disagree with what these women have said? Also, if you haven’t’t seen it yet – check out what the rest of KC said about how women are treated in the dealership. Next round of Q & A’s will be coming up … Stay Tuned! Why do you need to put cash down? 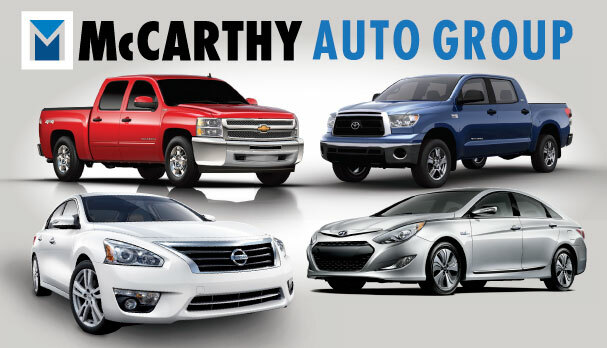 What's new at McCarthy ? Do you think men and women are treated differently?